This indicator will detect all Inside bar patterns that chart is drawing. indicator will draw a point on the next bar for the pattern and it will draw a rectangle around the pattern as you can see on the screenshots. you can control the color of pattern from settings. 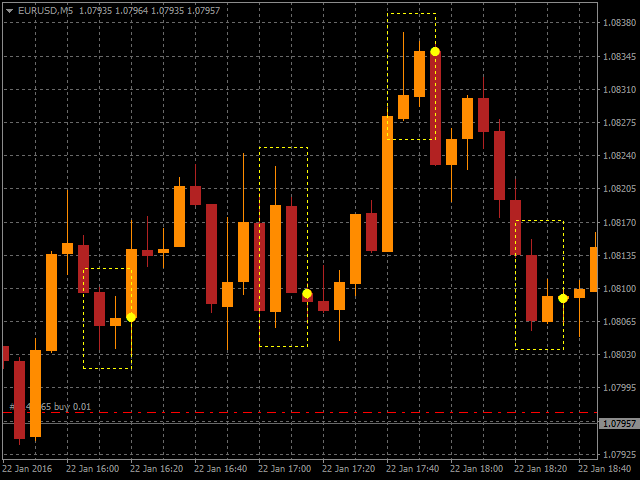 Pips_Between_H_L: number of pips between high and low of the third candle. I like it so much and very helpful for me. Thanks.